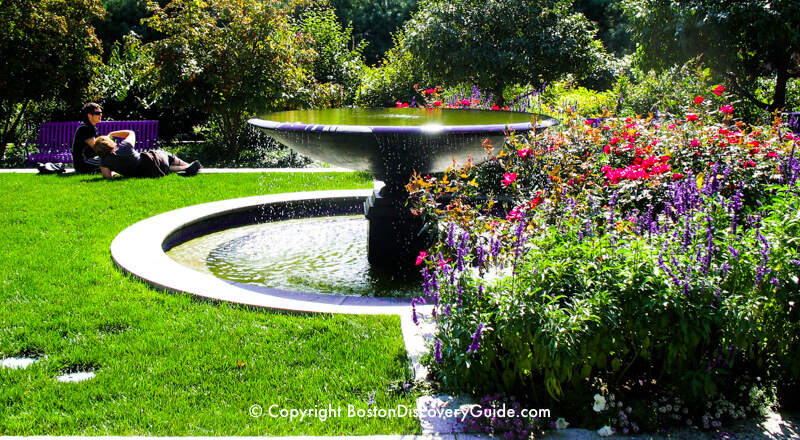 Garden tours of Boston's best private and public gardens give you the chance to see hidden spaces in Beacon Hill, the South End, and Back Bay, the city's most exclusive neighborhoods. Whether you're an avid gardener or just enjoy lovely flowers, don't miss the chance to tour Boston's best gardens. Many of Boston's best gardens are hidden behind high brick walls. Other top gardens are hidden secrets because they're private, and you'll easily miss them if you don't know where to look. Although some of the loveliest spots are public, the best garden treasures are easy to miss. That's why these garden tours are a must if you love gardening. 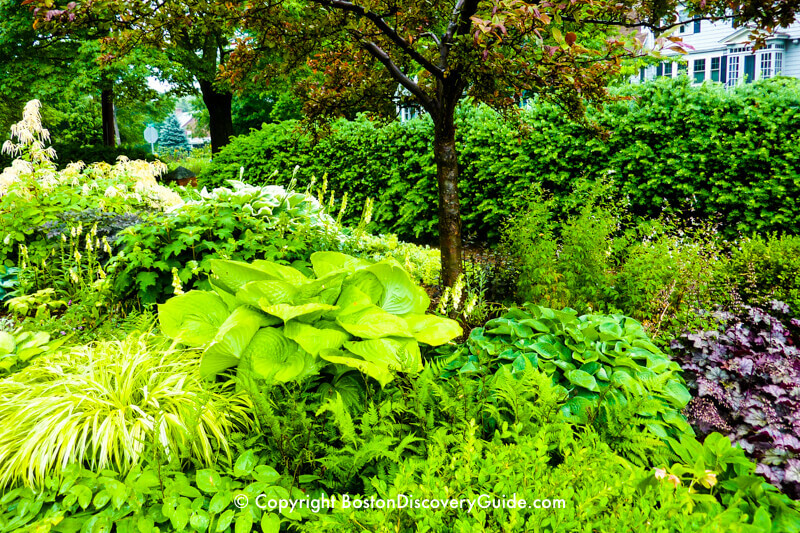 If you're visiting Boston and planning a garden tour as a highlight of your trip, you may want to stay conveniently close to the tour - so I'm including a few hotel recommendations along with the information about these Boston (and Cambridge) garden tours. Each of these garden tours is a once-a-year event, rain-or-shine event - so put them on your calendar now! Each year in May, Beacon Hill Garden Club members open a dozen of their hidden gardens to the public. (Check the Boston Event Calendar for May for exact dates.) 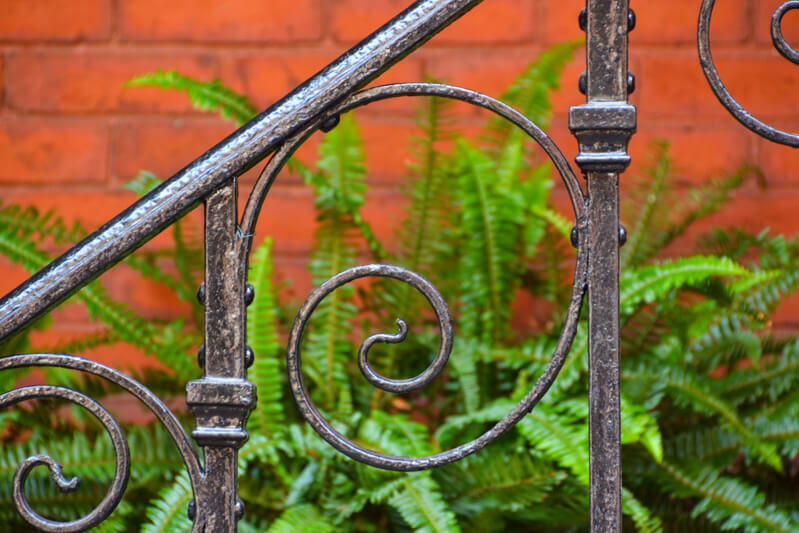 The self-guided Hidden Gardens of Beacon Hill allows you to explore behind wrought-iron fences and high brick walls to spaces normally hidden from public view. These exquisite shade gardens, many of them quite tiny, range simple to elaborate. You'll see fascinating examples about what can be done with limited space and sunlight. 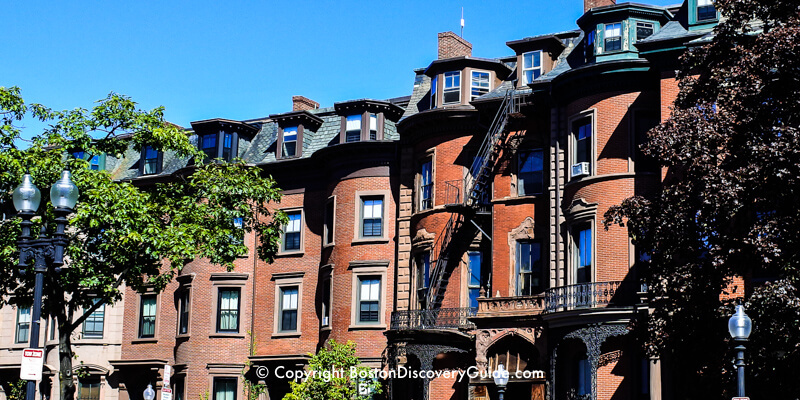 Beacon Hill is one of Boston's loveliest neighborhoods, filled with lovingly restored early 19th century homes ranging from townhouses to converted stables to mansions. 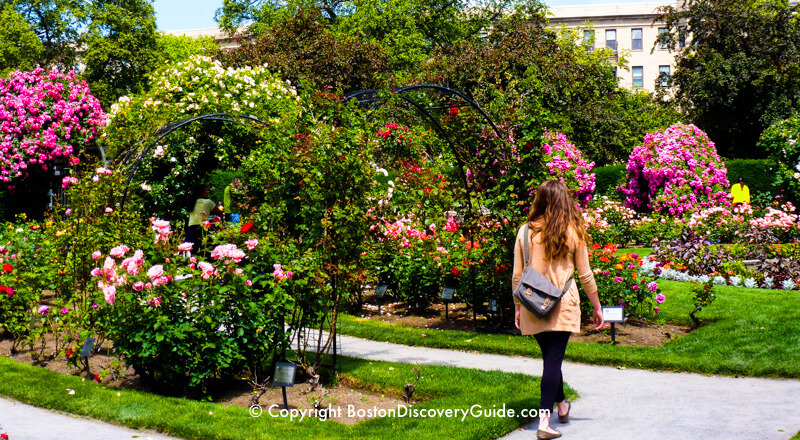 What's particularly interesting about the Hidden Gardens of Beacon Hill tour is seeing how the gardens enhance the architecture - and of course, the tour also provides a wonderful excuse to wander around Beacon Hill. Although tickets are priced on the high side, this is the Beacon Hill Garden Club's major fundraiser, and they use the funds for a good cause: beautifying Boston. The Garden Club has been offering this tour since 1929, and it grows more popular each year. If you're coming from out of town for this event and you're not familiar with Beacon Hill, here's my best tip: wear your most comfortable shoes. 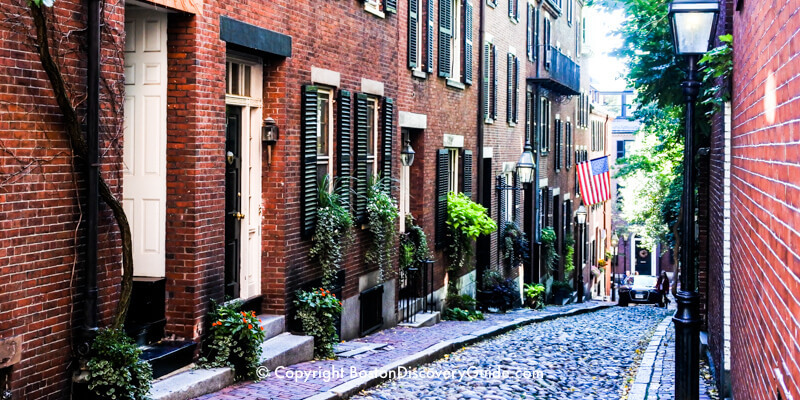 Beacon Hill is, well, hilly, and you may be walking on cobblestones, bricks, and other uneven surfaces. Also beware: lines to get into gardens can be long, as many are quite small. Fortunately, you can find many excellent cafes and restaurants along Charles Street when you need a break. Stretched across a corner of the Fens, one of Boston's 6 famous parks designed during the 19th century by Frederick Law Olmsted as part of the "Emerald Necklace" surrounding the city, the 7-acre Fenway Victory Gardens include more than 500 room-sized plots, each a miniature paradise. Established in 1942, Boston's plots have outlasted all other original Victory Gardens in the U.S. Although initially serving as vegetable gardens to counter food shortages during World War II, the Fenway gardens have long since given way to more decorative plantings. Through the years, the Boston residents who tend each plot have personalized their spaces within this community garden. Many double as outdoor living rooms, surrounded by flowers, foliage, vines, and trees as individual as their creators. 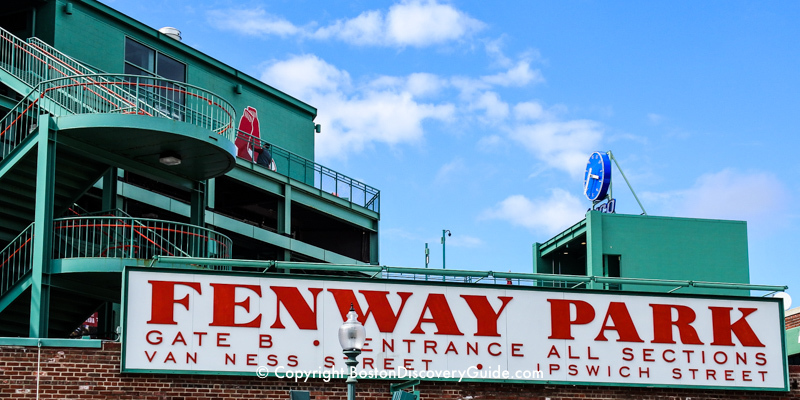 A series of Boston Victory Garden Tours from June through September give you a chance to explore these private worlds located almost in the shadows of Fenway Park and the Prudential Tower. Where are the Victory Gardens located? 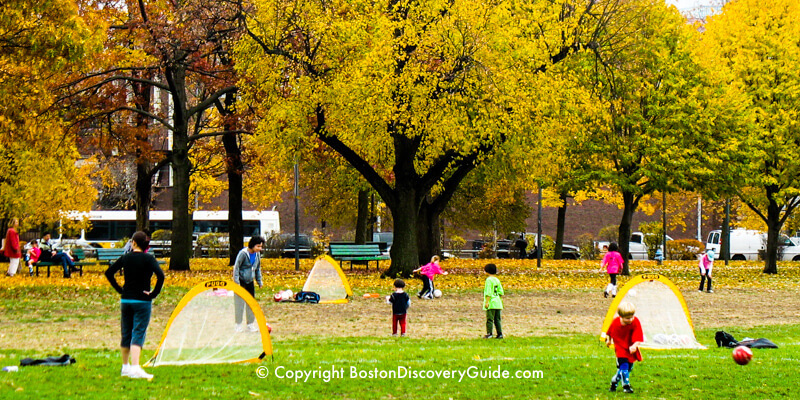 They are in the part of the Back Bay Fens between the Park Street and Boylston Street intersection and Muddy River, north of Agassiz Road in Boston's Fenway neighborhood (Fenway Park is one block to the west, across Boylston). Find exact tour dates from June - September on the Boston Event Calendar for June. 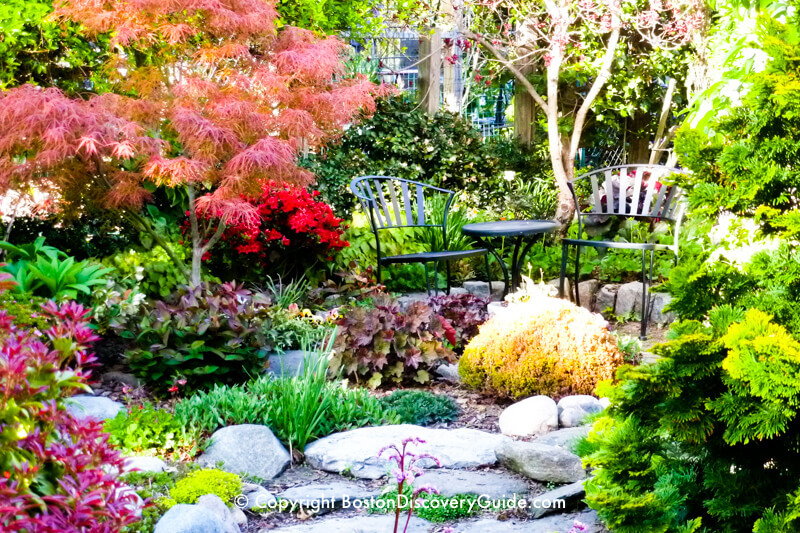 The Boston's South End neighborhood is huge (check it out on our Boston sightseeing map), and what makes the South End Garden Tour especially interesting is that it focuses on a different part of the neighborhood each year. Each area gets revisited every 4-5 years, but by that point, the gardens have changed - so you see new vistas each time you go on the tour. 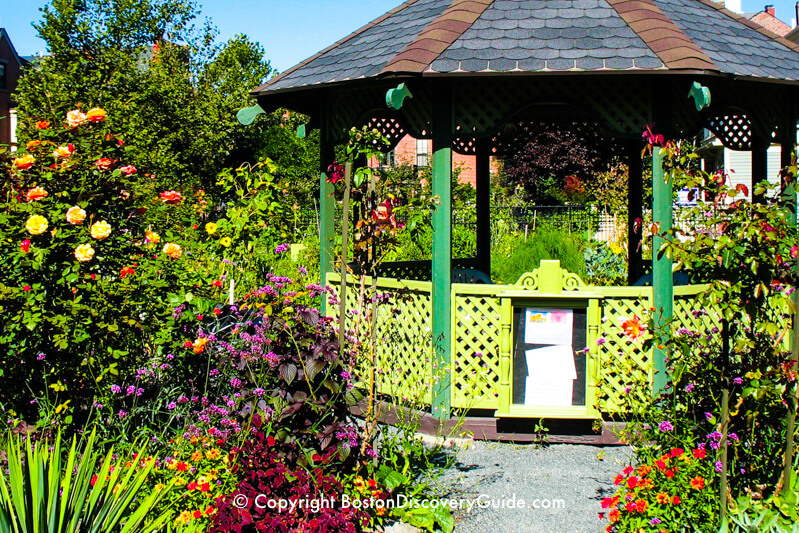 The South End Garden Tour is self-guided. When you arrive at the designated meeting spot (see the Boston Event Calendar for June for details), you'll be given a map and descriptions of each garden. There's usually a mix of private gardens, public spaces, and community gardens, so you get to see a wide range of styles and sizes. Expect everything from rooftop gardens to wide open spaces, flower and foliage gardens to vegetable plots - and lots of brick walls, stone features, and other hardscaping, since after all, this is an urban environment. Although lots of visitors come from outside of the South End to see the gardens, the tour is also a big community event, so there are usually "extras" - perhaps a farmer's market, local artists in the gardens painting pictures, food vendors. 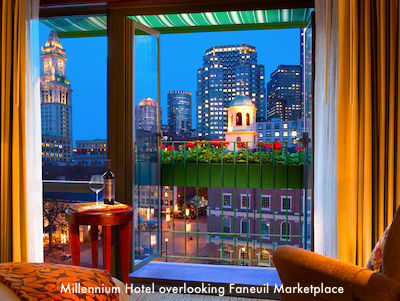 Spend the whole day exploring the gardens, and then have dinner in one of the South End's many restaurants. And be prepared for a certain amount of garden envy and fantasies about someday having your own rooftop terrace here. Just across the Charles River from Boston is the city of Cambridge, home to world-renowned universities, literary landmarks, stunning buildings by famous architects, and charming neighborhoods filled with 19th century homes. The Secret Gardens of Cambridge Tour self-guided tour takes you to all of these areas as you discover interesting gardens. The June tour takes place only on alternate years - those ending with an even number, such as 2020, 2022, 2024. Typically, the Secret Garden tour includes close to 20 private gardens, special green spaces, and historic sites all over Cambridge. Recent tours have emphasized innovation, including sustainable gardens, urban habitat, native plant gardens, teaching gardens, community gardens, gardens that support multiple ecosystems, and adventurous landscape architecture. With so many gardens on the tour, you can pick specific gardens or neighborhoods, or visit all the sites, which will give you a comprehensive tour of Cambridge at the same time. The tour is sponsored by the Friends of the Cambridge Public Library, with all proceeds going to support the library.